On Sunday February 12, 2012, LRFFPD will be participating in The Fight For Air Climb at the Oakbrook Terrace Tower in Oakbrook Terrace, IL. 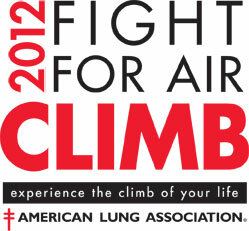 Our firefighters will be climbing, in full gear (mask, boots, air pack), 680 stairs to fight lung disease. Every dollar raised enables the American Lung Association to continue its work to educate kids on how to manage their asthma and to not use tobacco, to research cures and better treatments for lung cancer and other lung diseases and to advocate for better local, state, and national policies to protect all of us from the harmful effects of air pollution and secondhand smoke. So please make a tax-deductible donation to my Fight for Air Climb effort by visiting our team page, the link below. Thank you for your generosity and for taking action!